Well, we’re so busy doing things here at Wooster Physics that we haven’t kept up the blogging about all our exciting activities. Case in point — CUWiP 2018! 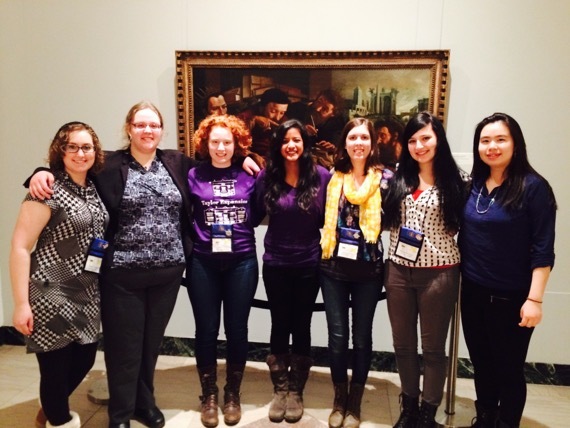 For the last several years, the American Physical Society has been hosting Conferences for Undergraduate Women in Physics (CUWiP). 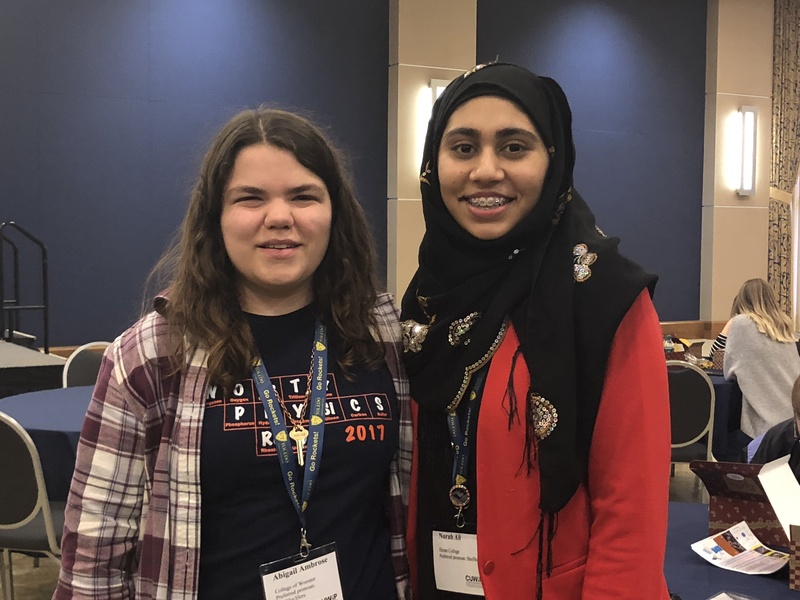 These are regional conferences around the US designed to help young women persist in physics by providing networking opportunities and information about graduate school and careers, in addition to talks about physics research. We’ve been sending a delegation from Wooster to the nearest CUWiP for several years now, and it has been a really positive event. 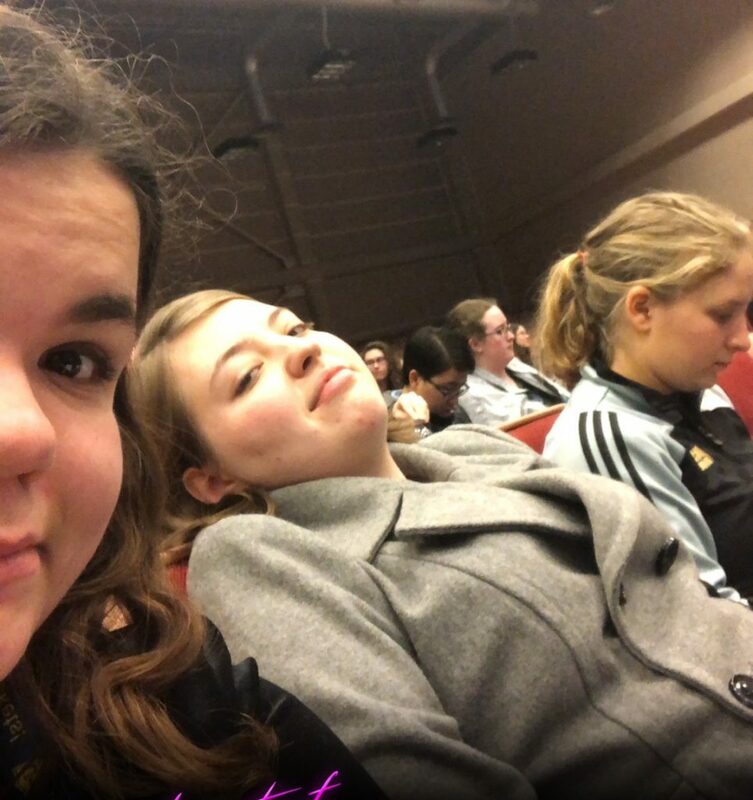 This year, we had three Wooster students go to the local conference, which was at the University of Toledo. While there, they also got to meet up with Norah, a student from Hiram who did the Wooster REU over the summer. Norah was presenting the results of her research with Dr. Lindner on Hannay Hoop-and-Bead Anholonomy. “One of my favorite speakers Dr. Karen Bjorkman, who is the Dean of the College of Natural Sciences and Mathematics at the University of Toledo. She is an astrophysicist and was an incredibly inspirational speaker. Long day but still good! And, just because I love it, here’s a picture from 2015 — what a great group of students!